In Anjee’s current role, as National Retail Director for the USA, she has developed strong relationships and strategic leadership to over 450 + retail professional nationally across 140 markets within Colliers for Investment Sales, Landlord Agency, Tenant Rep, and Retail Asset & Property Management. Anjee Solanki brings 26 years of focused retail real estate experience to Colliers International. She provides strategic retail advisory services to enhance value for her clients with her expertise in lifestyle, community, power center, neighborhood, mixed-use retail/residential, and resort retail. 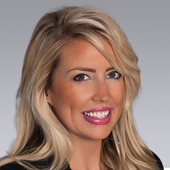 She has developed and manages strong working relationships with institutional and private clients such as State of Florida, State of Michigan, Heitman, Invesco, Grosvenor Americas, American Realty Advisors, TH Realty, PNC, and Zurich. Creative problem-solving is her specialty, and she becomes a key stakeholder with national and international retailers, such as JPMC, Opry City Stage, Ole Red, Tim Hortons, and many others. Her highly focused approach reduces the risk profile and provides clients with a thoughtful approach executing strategic multiyear planning initiatives. - Bisnow named Anjee as one of the top Bay Area Power Women in 2017. · In 2016, Anjee was selected as one of Real Estate Forum’s Top Women in Retail Real Estate, which acknowledges professionals whose achievements have made them standout performers across the retail real estate spectrum, including development, investment, brokerage, management and in-house retail real estate executives. · Retail and Technology, Anjee was asked to be on the Board of an upcoming commercial real estate technology platform, The AMP Technologies, in 2015. · In 2012, she was awarded Top 50 Influential Women in Commercial Real Estate by The Forum. · ULI | ICSC | Hightower invited guest speaker to discuss current retail trends. · Featured in various retail articles, such as, WWD, Globe Street, RE Forum, CPE, Bisnow, and many others. Investors: Heitman, Grosvenor USA, TH Realty, Zurich, Invesco, American Realty Advisors, PNC, Clarion Partners and others. Retailers: JPMC Chase Bank, Sprint, Forever 21, Jollibees, Kohler, Ole Red, Opry City Stage and others.